In a time wherein we are flooded with options for beverages to drink, it is hard to determine how one is different from the other. A lot of manufacturers are making aggressive claims that their product is the best. For us, consumers, it is easy to fall victim to their marketing tactics and their cheap prices. Among other beverage brands, one that you should know of is Celsius. As the company claims, they produce functional beverages. This simply means that their drinks are able to provide health benefits to consumers. They are loaded with vitamins and minerals that the body requires for a healthy functioning. In the short Celsius drink reviews in the rest of this buying guide, we’ll share with you five of the top products that you might want to consider. We’ll also give you a glimpse of the background of the company, as well as some of the reasons why their drinks will be worth your money. In 2005, Greg Horn created MetaPlus Formula, which is a drinkable thermogenic. Horn used to be the chairman of GNC. This is the first of its kind in the world. This was the proprietary formula behind the first drink created under the Celsius brand. Through the years, the company developed new products and flavors, providing a healthier alternative to conventional energy drinks. 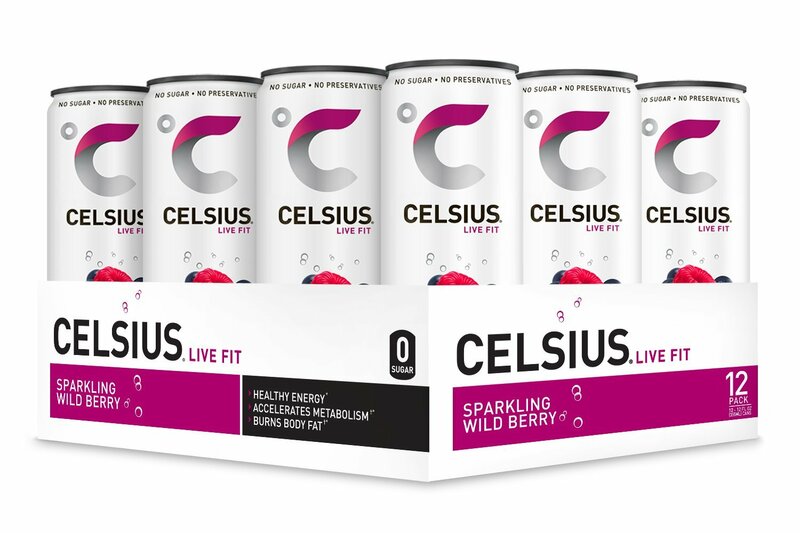 It was only in 2017 when the company rebranded Celsius and marketed it as a fitness drink. This proved to be the right step as the company was awarded the Best Functional Drink in a competition in Germany, which was participated by more than 180 beverages from around the world. While a lot of people would consider Celsius as a great alternative to Red Bull, it is more than that. It aims to be two products in one – an energy drink and a fat burner. It has vitamins and minerals that can help speed up the effects of your workout while also making sure that you will have the energy that you will need for the day. 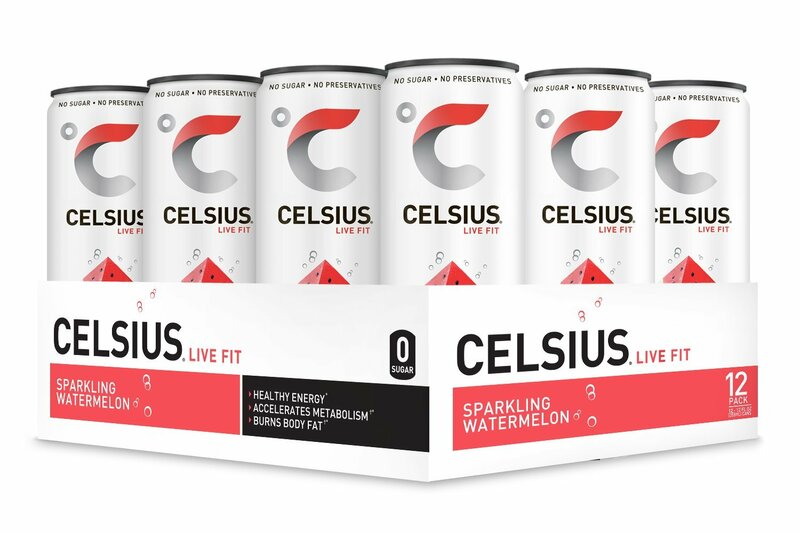 If you are still not convinced that Celsius is a good choice for a fitness drink, here are some of the good things that can convince you that it is impressive in more ways than one. No Sugar: One of the best things that you will love about their drinks is that they do not contain sugar. This is why it is perfect for health-conscious individuals. There is no need to worry that it can lead to diabetes, obesity, and other health problems that result from too much sugar in the body. Backed by Scientific Studies: There are many claims that are made by the company. If you have hesitations, it will be good to take note that there is scientific evidence that exists to prove the assertions that are made by the manufacturer with regards to what their product can do. Increases Metabolism: This is the reason why Celsius is helpful for weight management. It will help improve your digestion and this is done in a manner at which the body will not be able to experience adverse effects. Assorted Flavors: With Celsius drinks, there is no room for boredom. The company offers a diverse selection of flavors. Regardless of what tickles your taste buds, there is a flavor that you will surely love. Vitamins and Minerals Complex: This is at the core of Celsius beverages. It contains B-vitamins that are essential for energy production and metabolism. Meanwhile, there is a small amount of sodium, which helps in the production of electrolytes. Taurine: This is an amino acid that you can find in many types of energy drinks. It is the one that is responsible for the improvement of one’s athletic performance, providing you with the strength that you need in your workouts. Nonetheless, too much taurine can be a hazard, especially for people who have caffeine sensitivity. Green Tea Extract: This has the reputation of being one of the best fat burners. 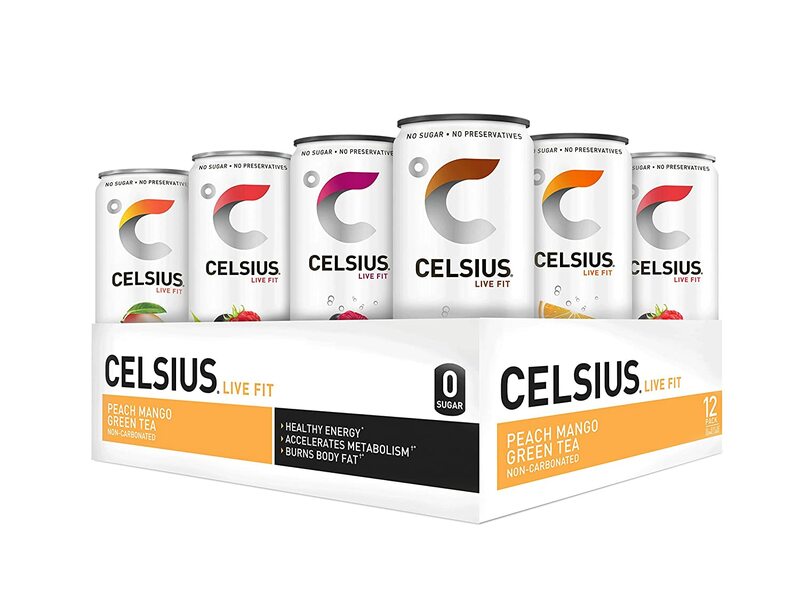 Celsius uses a standard dosage of green tea extract in their drinks, which is the one that is responsible for making it great for losing weight. Guarana: It is the seeds from a South American tree. It has a high caffeine content, which is also the reason why it can be effective in energy supplementation. While coffee only has 2% of caffeine, guarana can possibly have up to 5.8% per weight. Ginger: This ingredient contains zingerone, which is instrumental in thermogenesis. It allows the body to burn fat, and in turn, the latter converts into energy. This is another reason why it makes you more active and improves your energy in physical activities. Caffeine: According to Celsius, their beverage contains 200 mg of caffeine in one serving. Take note, however, that there is still guarana, which is also a source of caffeine. It helps not only in providing energy, but in the suppression of the appetite as well. Provides Extra Energy: Are you feeling down? Looking for a jolt of energy to keep you going? A functional beverage can save the day. It can provide you with a kick of energy, especially when you are working out. Immediate Effects: Because it is a cold and ready-to-drink beverage, caffeine will get in your bloodstream quickly. This is as opposed to coffee, which is hot, and hence, you need to wait for it to cool down. Quenches Thirst: More than anything else, the primary function of these beverages is to make you refreshed. It can be a thirst-quencher, which will even be made better by the fact that it has an assortment of flavors. If you are finding it hard to decide which Celsius drink will make the best choice, in this section, we will have a rundown of five of the products that are worth checking out. If you love Fanta, or orange juice in general, this is a sparkling drink that you will most probably love as well. From first sip, you will notice the orange flavor. Nonetheless, unlike carbonated drinks, even if this is a sparkling beverage, it is not too strong, and hence, there is a lesser likelihood that you will suffer from problems like acidity. The flavor is sweet, but not overpowering. It will be very much reminiscent of natural oranges that have been freshly picked. The best thing is that it is made without using natural sweeteners, making it a product that is excellent for your health. As a clinically proven dietary supplement, you can be sure that it will be effective in your journey towards a healthy lifestyle. Nonetheless, the mere consumption of the drink will not produce magical results. You need to complement it with healthy living, especially regular exercise and the right diet. One of the things that we liked about this drink is how it contains acai green tea, which is the one that is responsible for its many health benefits. Acai contains antioxidants, which are effective in fighting damages that are caused by free radicals. They also have anti-inflammatory benefits. If you are following a strict diet, it won’t hurt to make this drink a part of your daily life. There is nothing for you to be worried about. There is no artificial sugar. All the sweeteners are free from toxic chemicals. It is also gluten-free. Lastly, as an energy drink, it will make you feel alive and productive. This will be a healthier alternative to Red Bull. It provides energy, but without the crash. You will not feel jittery and there is a low likelihood of having palpitations, unless you have extremely high sensitivity to caffeine. Looking for a way to speed up your metabolism and the effects of your workouts? This drink might be the solution that you have been looking for. It is made from natural ingredients that will allow you to burn more than 100 calories while also providing you with lasting energy. Working out will not be as tiring anymore! One thing that makes this good for your health is the fact that there are no preservatives and sugar. This is contrary to other energy drinks that are loaded with sugar. With this, there is a lesser risk that you will suffer from diabetes, obesity, and similar problems. Lastly, you will also love the carbonation of the drink, which adds life to the beverage. This is not flat. Nonetheless, it is also not too fizzy. Similar to the other drinks that we have mentioned in this post, one of the things that you will love is the fact that it is free from aspartame. The latter is associated to a number of serious health problems, so you should stay away from drinks that make use of such an ingredient. As a fitness drink, this will be a great workout supplement. Drink one can before you hit the gym and for sure, you will have the energy that you need to perform your exercises. The best part is that you will not feel jittery or nauseous, unless you are extremely sensitive to caffeine. Lastly, it has the ability to speed up metabolism and burning fats, which is another reason why it is good for your weight management. One of the things that we love about this energy drink is that it is sugar-free. This means that you can enjoy all the benefits of having added energy without the need to worry that your sugar intake will increase. In the long run, this will have positive impacts in your health. It is also a good thing that this is available in a variety pack. It might be slightly expensive than the products above, but the reason for this is that it is available in various flavors. You can try each drink from Celsius and decide which one suits your taste. Lastly, several studies have also been conducted in the past to prove the claims that it can be effective for weight management and as an energy drink. Based on the conclusions from several researches, this energy drink will be instrumental in burning up to 93% more fat. From the five products that we have briefly reviewed earlier, I would say that Celsius Sugar Free Energy Drink stands out from the rest. While it is similar in many ways with the four other products, one thing that sets this apart is the assortment of flavors. This is an opportunity to try different drinks and see which one suits your taste. Hint Water Reviews: Which One is Best to Quench your Thirst? Best Home Coffee Roaster: Which One Should You Buy?